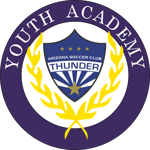 The Academy System is a branch of the Competitive Program within the club structure, focuses on the preparation of players into higher levels of competitive play. The Academy Program is for all boys and girls, ages 7 to 10 looking for more than a recreational experience. 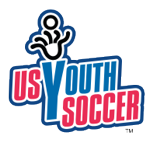 For many this is a transitional program from recreational soccer to competitive soccer. Players have either participated in a recreational soccer program previously or decided to look for more advanced opportunities than what they currently have. The program provides a positive learning experience for all players, concentrates on the growth of the individual within the team structure and emphasizes development of technical skills and tactical awareness. It is our belief that teaching players is the priority for long term success and will foster more advanced understanding of the elements necessary to achieve that success. We give players the "freedom to succeed" without the "fear of failure" by encouraging them to take ownership of their decisions in training and games, even at these young ages. This method guarantees that players will develop more confidence and self-esteem but more importantly, ensures fun and enjoyment for the game of soccer. Evaluations for the Academy Program will be held in May and June of each year. Teams are formed within every age group, based on the skill and ability level of the player. The process used for team formations will be explained at the parent meeting during tryouts. Players not invited to the Academy Program are encouraged to participate in our Recreational Program, as well as seasonal camps and clinics to help prepare them better for the demands of the Academy Program in the future. It is encouraged that all players interested in the Academy Program register for evaluations. If you do not have the means necessary to do so, on-site registration will also be accepted on the day of tryouts for that age group. Exact training days and times are still being determined and will be announced shortly. All academy teams will train at the same location, on designated days. CSA has used Tumbleweed and Desert Breeze Parks in the past. Each team within the academy will play a developmentally appropriate league and event schedule. League Games will be played within the AYSA Academy League. Events will consist of local and regional festivals and tournaments. This schedule will be determined by the club and will be published at the beginning of the season in August and again in December.